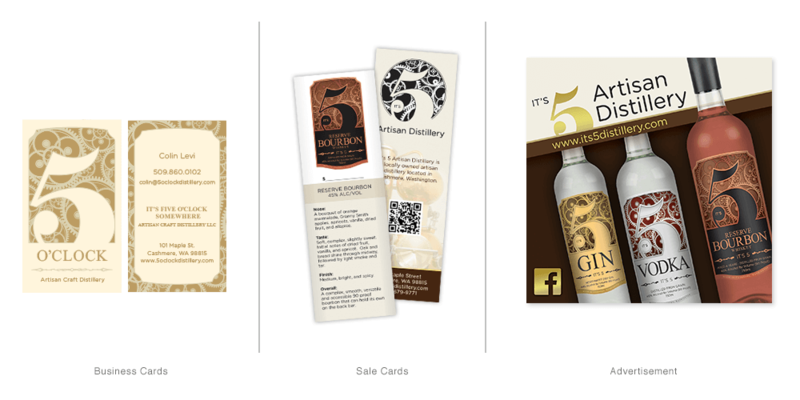 It's 5 Artisan Distillery — Blind Renaissance, Inc. It's Five Artisan Distillery was established in December 2009 by Colin Levi, a chef with a vision of creating high quality spirits from the fruits and grains available locally in Washington State. Their facility is located in Cashmere, WA and houses one of the finest stills in the world. They have an impressive line of handcrafted spirits to suit everyone's tastes. BR developed a new series of bottle designs to accompany the brand. These unique labels show off a beautiful flux technique and metallic surfaces that give the products a level of sophistication. BR continued the brand style by developing sales cards and shelf talkers to get consumers interested in the It's 5 products. Additional marketing materials were created to help show off the new look. 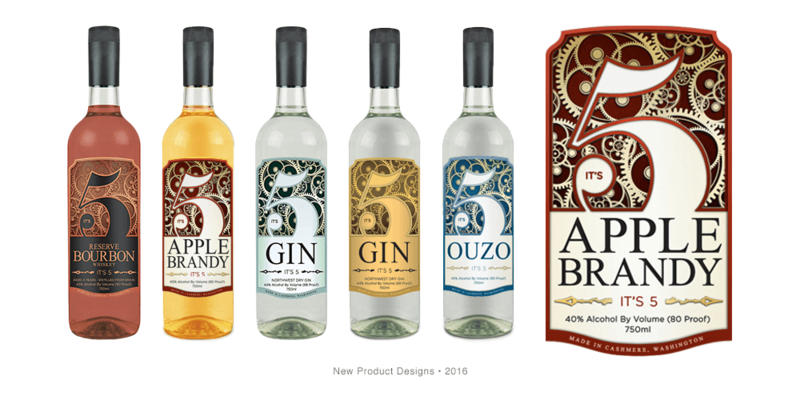 BR gave the website for It's Five Artisan Distillery a complete overhaul, which produced a website that shows a distinctive brand and quality. Visit the It's 5 website here.